Walking the streets of this first town is a walk through time. The historical beauty can be seen through a transformation spreading over 1000 years! The town itself is nearing 2000 years old and is well worth a visit. The name Saffron Walden comes from the prosperity of the nearby saffron farming in the 1300s. The castle ruins mark the magnificent castle that once stood here. Imagine the grandeur of the castle that Geoffrey de Manville created in the 1100s, signifying that Saffron Walden was an important settlement. Visit the town on a Tuesday, and you can immerse yourself in a market that dates back to the Norman era. Whilst standing in the market square take in the Victorian architecture that dominates the area surrounding the market. Walking around the town, check out Castle Street. I’m sure you will be impressed, as I was, seeing the timber framed houses all painted in pastel colours dating back to the 1500s. Other examples of 16th century architecture is the Cross Keys, and The Eight Bells buildings. The wealth of the saffron industry brought prosperity to the town! A famous resident of Saffron Walden was Sir Thomas Fairfax who instigated the first act of democracy. When you visit the parish hall, you are stepping into the birthplace of democracy in the UK that dates to the end of the civil war in 1647. 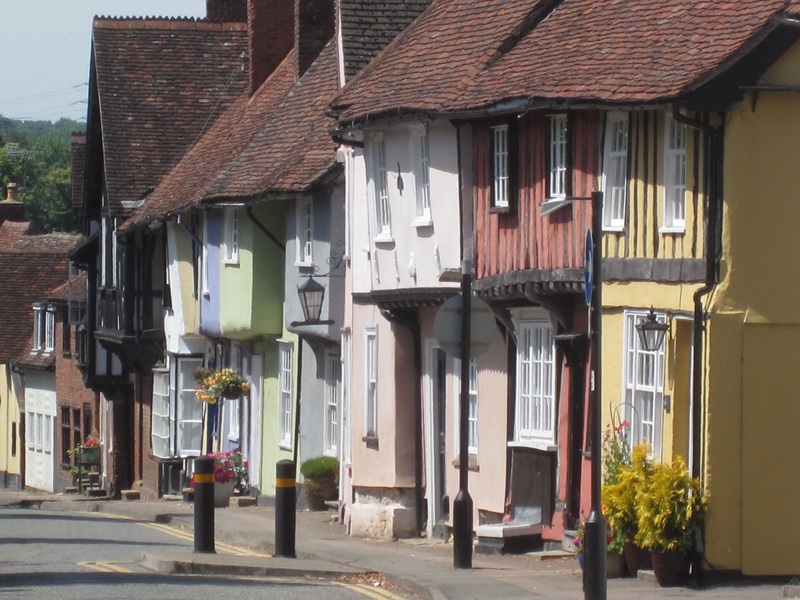 The town of Saffron Walden is astonishing and deserves recognition, a town that hides its history in its architecture.